KHATLON PROVINCE, Tajikistan -- A project financed by the US Agency for International Development (USAID) is helping Tajik women grow strawberries with seeds imported from California, giving them a chance to be financially independent and earn their own livelihoods. The effort is part of USAID's "Feed the Future Women's Entrepreneurship for Empowerment Project", and is aimed at providing women in Khatlon Province the chance to develop their own businesses, according to project co-ordinators. The strawberry planting project was launched in 2016 with the partnership of the National Association of Business Women of Tajikistan (NABWT). According to the association, 34 women from four districts of Khatlon Province who were taught business skills in 2016-2017 are now successfully growing several varieties of California strawberries. "After purchasing 5,000 seedlings from Chico, California, with USAID assistance, we organised two demonstration sites in Qumsangir [now called Jayhun] and Vakhsh districts," project manager Husniddin Kuziboyev told Caravanserai. 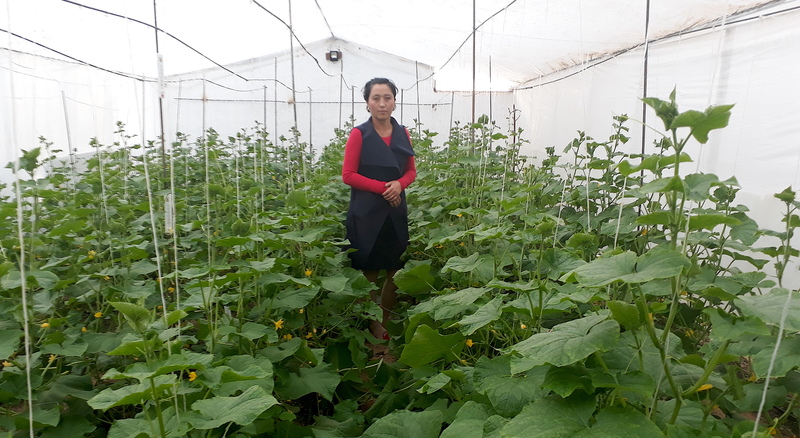 Muyassara Yuldosheva, a resident of Jayhun District, was one of the first women to join the project two years ago. She provided 1,200 sq. metres of her land as a demonstration field. The project provided Yuldosheva with 3,000 seedlings and organic fertiliser, utilised new technology to help her place her strawberry beds optimally, and taught her modern techniques to mulch the soil and install drip irrigation pipes. The entire process was guided by experienced agronomists who have studied modern agriculture in the United States and other countries. Yuldosheva used plasticulture to protect her plants from cold weather and weeds. The project covered all costs. Other farmers learned the techniques applied on her field. Following the scientists' recommendations, they watered the plants and only used organic fertilisers. The results exceeded all expectations -- Yuldosheva's field yielded about 400kg of berries. "With minimal labour and financial cost, I harvested two or three times more crops than the farmers who continue to grow strawberries using their grandfathers' methods," she told Caravanserai. "My strawberries are better and more delicious, so I have no trouble selling them." Latofat Murodova, a resident of Vakhsh District, joined the USAID project in 2016 and provided the project with 1,000 sq. metres of her parents' land. She and her 8-year-old daughter have been living with her parents since her divorce several years ago. In November 2016, the family planted 2,000 seedlings, harvesting their first crop by spring 2017. Murodova sold her strawberries for 25-30 TJS ($2.75-$3.29) per kg, 10-15 TJS ($1.10-$1.65) more than what is offered to other local producers and to those who use old technology. In total, she earned about 4,000 TJS ($439). Last August Murodova planted a type of late-season strawberries, which yielded a harvest in November. Fresh strawberries on the market in winter sold for 50 TJS ($5.49) per kg, she said. "As soon as I harvested them, customers would pick up my berries straight from my home for 35 TJS ($3.84) per kg, and I figured that I had the chance to qualitatively change the quality of my family's life," she told Caravanserai by phone. Thanks to the technologies extending the planting season, Murodova is set to double her profit compared to her first year. Inspired by her first steps in business, Murodova intends to expand her strawberry field in the future. "Thanks to [NABWT] and USAID, I am starting to feel independent as a single mother," she said. "I no longer depend on my parents: it's the other way around; I help them." "My little daughter will soon enter second grade," she added. "I no longer have problems with what to dress her in or how to buy her all her school supplies." NABWT specialists are now teaching the knowledge learned in the Jayhun and Vakhsh districts to farmers in Yovon and Bokhtar districts, Khatlon Province, bringing along with them the California strawberries. Meanwhile, IMON, a micro-loan foundation based in Khujand, Sughd Province, has been helping to spread the experience of Khatlon Province farmers in the northern part of the country. In January, farmer Lutfullo Akramov of Bobojon Ghafurov District provided a piece of land for the demonstration field. In early May, he harvested his first 30kg of crops, which he sold for 25 TJS ($2.75) per kg. Many local women who own land intend to grow strawberries using the new technologies in the future. IMON, which also participates in spreading cutting-edge technologies and supporting women, is willing to cover half of the costs. "Our goal is to teach business to rural women, many of whom are housewives," Muyassara Pulatova, chairwoman of the foundation, told Caravanserai. "We teach them not just how to build a business. We also teach them the technologies and standards that meet the market's demands." "I harvested two or three times more crops than the farmers who continue to grow strawberries using their grandfathers' methods". 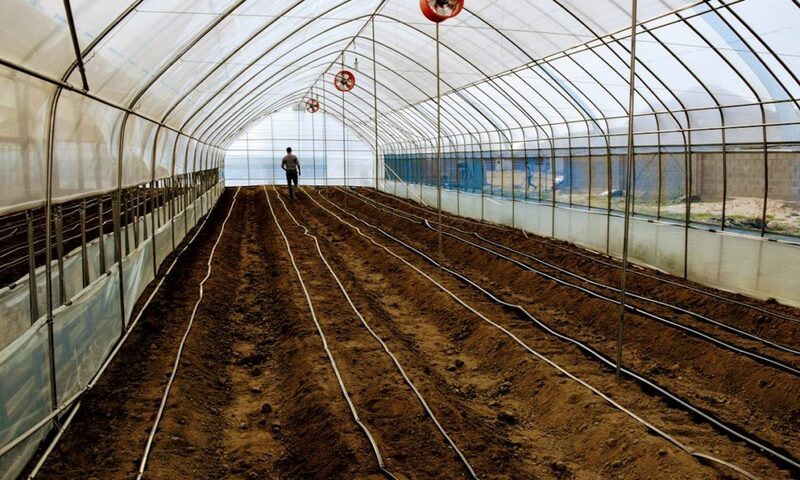 Greenhouses are extending the growing season and diversifying the crops produced in Kyrgyzstan's mountainous areas. 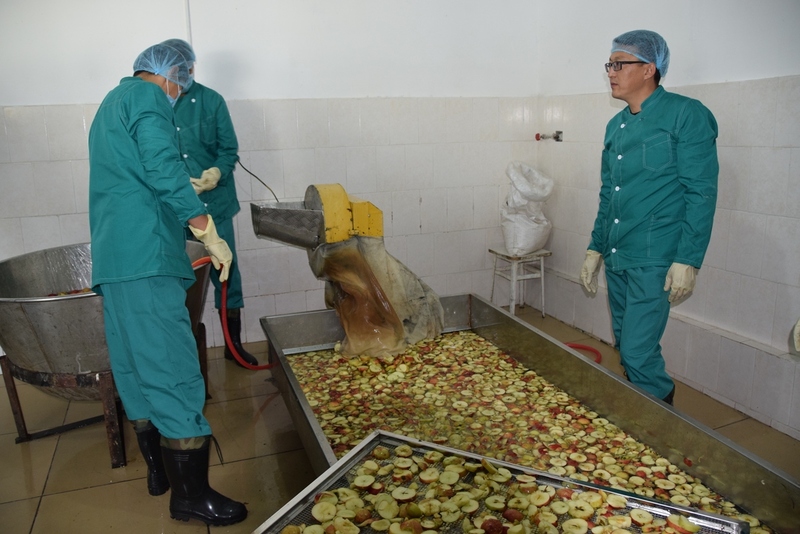 Recently opened food processing plants will help promote Kyrgyz produce abroad and increase farmers' profits, officials say.